I couple of moths ago, I got these little trial samples of the Rose range from The Organic Pharmacy via Elle Magazine. 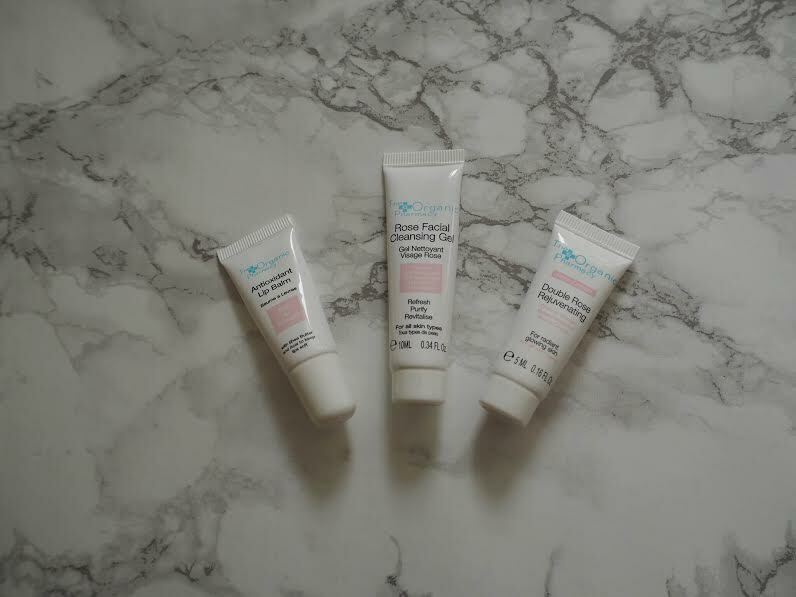 They came at a particularly good time, as I was on holiday and had lost all my luggage.. including facial stuff and make up (NIGHTMARE) so these hand luggage size tubes were a godsend. 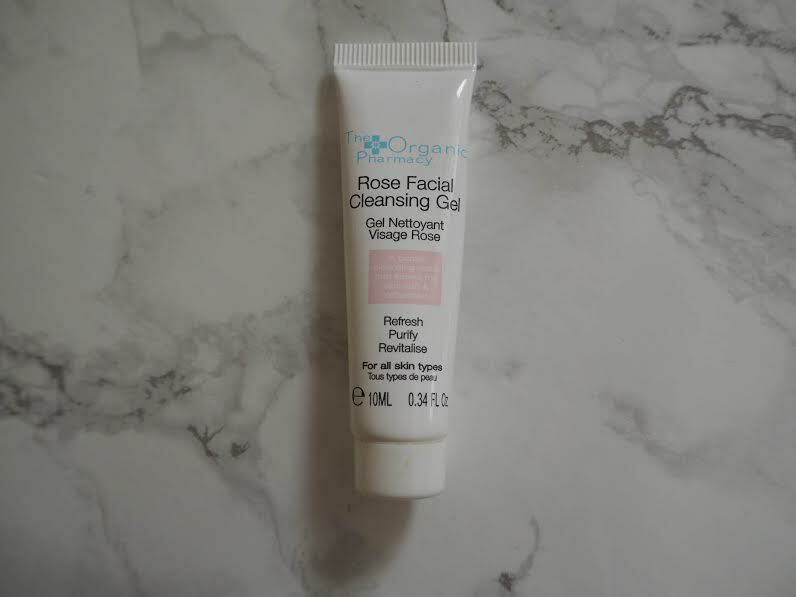 The Rose Facial Cleansing Gel is a cleansing wash that genuinely leaves skin feeling soft and refreshed. it contains key ingredients of bilberry, rose hip, Marigold, Rose and Rose Geranium. It felts so good to wash my skin with, especially when I had blocked pores due to sunscreen. 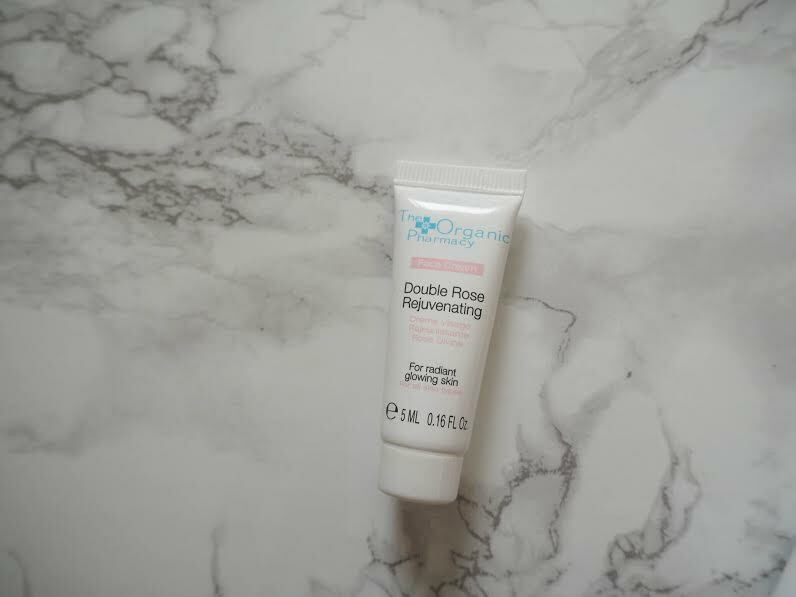 After cleansing my face, I used the Double Rejuvenating face cream, which made my skin smell amazing AND again left it silky smooth, especially if i had overly dry areas. Lastly, this was my favourite out of the three, the Antioxidant Lip Balm, which (funnily enough) also smelt like rose, but contains little exfoliation balls, acai and shea butter to keep your lips soft. I have now run out of this, but its on my chirstmas list.. it’s that good! Anyway, I know it’s short and sweet, but I just wanted to share this gorgeous range with you guys! don’t forget to follow me on social media !